Even though Indian musician Anoushka Shankar failed to clinch top honors at the 58th Grammy Awards, her presence at the power-packed ceremony in Los Angeles brought nothing less than glory to the country. The sitar player-composer’s solo album Home was nominated in the Best World Music Album category, but lost to Angelique Kidjo’s Sings. This was her fifth Grammy nomination. While the main ceremony started at 5pm (Pacific Time) at the Staples Center in Los Angeles, the pre-telecast ceremony took place from 12.30 pm -3.30 pm at the Microsoft Theatre in Downtown Los Angeles. More than 70 of the 80-plus awards were announced during the pre-telecast ceremony. An Indian classical album, Home is Anoushka’s tribute to her late father, the legendary Ravi Shankar. With each passing year, an increasing number of Indians seem to be making their way to the Grammy Awards, and picking up top honours. Last year, it was India-based Ricky Kej who prominently carried that torch, winning the Best New Age Album award for Winds Of Samsara. Another winner was Neela Vaswani who had won in the Best Children’s Album category for I Am Malala: How One Girl Stood Up For Education And Changed The World. This year, three more Indians laid claim to the coveted golden gramophone. 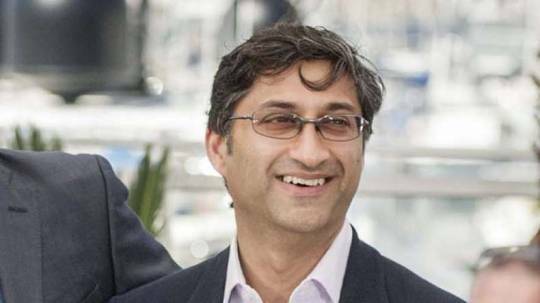 London-based, Indian-origin filmmaker Asif Kapadia won in the Best Music Film section for his documentary Amy on the late Amy Winehouse. The win adds one more accolade to Kapadia’s kitty, who recently won at the BAFTA’s too. The next big nomination for the documentary is at the Oscars where it is being considered a frontrunner for the Best Documentary category. Tej’s latest work for South African musician Wouter Kellerman’s Love Language was nominated in the Contemporary Instrumental category, but failed to recreate the magic of last year. The Afro Latin Jazz Suite, composed by Arturo O’Farrill and The Afro Latin Jazz Orchestra, featuring Indian artiste Rudresh Mahanthappa won in the Best Intrumental Composition category. Indian composer David Balakrishnan was nominated in the same category for Confetti Man. Record producer and multi-instrumentalist Jeff Bhasker picked two awards – one for Producer of the Year (Non-Classical) and the other for Uptown Funk by Mark Ronson featuring Bruno Mars, which was nominated in the Record of the Year category. Also nominated were Savan Kotecha for Love Me Like You Do by Ellie Goulding in the Best Song Written for Visual Media category, and Bhakti Without Borders by Madi Das in the Best New Age Album category. As Gwen Stefani premiered the first ever live music video for her new single Make Me Like You during the 58th Grammy Awards, it was a moment of pride for Mumbai-based designer duo Abu Jani-Sandeep Khosla. The premiere was part of a Grammys commercial for the American discount retailer Target, and Stefani looked red hot in a Jani Khosla creation. But, it was not the only sighting for the duo. E!’s Giuliana Rancic was also seen in a creation by the designers. Her metallic gold gown featured bold mirror and grommet work and the look has received positive feedback from fashion critics. Recently, Queen Bey was seen in a Jani-Khosla creation in the collaboration video for Hymn For The Weekend, which she did with Coldplay. Besides Jani-Khosla, a Manish Arora creation was also sighted at the high-powered event. London-based Indian musician Anoushka Shankar picked a blue coloured custom creation by Arora for her appearance. The cast of Sholay came together once again.